need a last minute thanksgiving dessert that’s easy and make ahead and fancy-ish? well, hello there, creamy espresso custards. definitely use instant espresso; otherwise the coffee won’t dissolve and it will rise to top and be weird. it will still be yummy, but a little more… textured. i was fine with it, my mom wasn’t. on day 1, when we at it while warm because we have no patience: it was really smooth and creamy. it tasted light, almost moussey, and i wished that it was more eggy/dense. like a true custard. too boozy for me, but the parentals liked it. on day 2, when it was cold like it should be: silky and dense how you’d expect a really good custard/creme brulee to be. i thought it tasted less boozy, but mom insisted it was the same. i still liked it more. 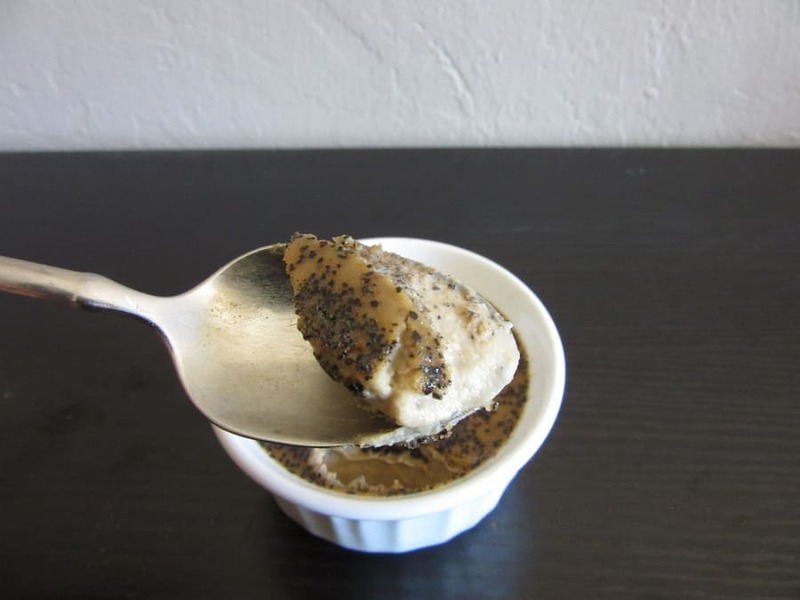 tl;dr: chill your creamy espresso (and all your other) custards, people. i got too lazy to brulee them. my torch is so whimpy that it takes 5 minutes to make a 1” square tan, and the ramekins i used weren’t broiler friendly. maybe if you don’t want to brulee either but you still want that sort of thing, you could do a shard of caramel on top. like do caramel on the stovetop or maybe in the oven as a pile of sugar until it caramelizes to your desired stage. haven’t tested it out, but lmk if it’s amazing. or horrible, or meh. i’m nosy like that. Pour Kahlúa and vanilla into a medium bowl. Add espresso and whisk until dissolved (if you use ground coffee, it won’t dissolve). Stir in cream. In a medium bowl, whisk the egg yolks until pale. Add brown sugar and cinnamon; whisk until sugar dissolves. Whisk in the cream mixture. Place six 1-cup oven safe coffee cups in a baking pan. Divide the custard between the cups, allowing at least 1/4” of head space for the brulee. Pour warm water into the pan to come halfway up the sides of the cups. Bake at 275F for 60 to 65 minutes, or until center of each custard still jiggles just slightly. Remove from the oven and lift the cups from the hot water. Cool for about 20 minutes on the counter, then refrigerate for at least 2 hours or up to 2 days. Brulee is delicious, but optional. Sprinkle 1 tsp raw sugar over each custard. With a hand-held torch, caramelize the sugar until browned evenly. Serve the creamy espresso custards with a dollop of whipped cream, a dusting of cinnamon, and a chocolate covered coffee bean or two.